AVS Media Player is one of the most popular media applications that help you effortlessly play your audios and videos. The program lets you listen to music tracks, watch videos and view images on your system with great ease. The audio/video player supports a wide array of file formats, including AVI, MPEG-1, MP4, 3GP, WMV, MPG, Quick Time, VOB, MPEG-2, MPEG-4, DivX, XviD, WAV, AAC, FLAC, and OGG, among others. Apart from this, the free multimedia software also supports many image formats such as PNG, JPEG, GIF, PCX, EMF, WMF, TIFF, and much more. You can select multiple photos and view them as a slideshow. AVS Media Player for Windows allows you to create your own playlists according to your style and taste. You can add as many files as you want to the playlist. One of the best things is that the media player for PC includes a search function that lets you find the file you want to play. In addition, you can make adjustments to the sound system settings while watching any movie. You can easily access the settings menu and adjust viewing modes. What’s more included in the latest version of AVS Media Player is that you can enable subtitles and change the aspect ratio. You can also select full-screen mode and set the speaker configuration as per your preference. Download AVS Media Player to easily play your favorite audio and video files. > Supported audio formats: MP3, FLAC, WAV, M4A, AMR, AAC, etc. > Supported video formats: MPEG4, MPEG1, MPEG2, VOB, AVI, etc. 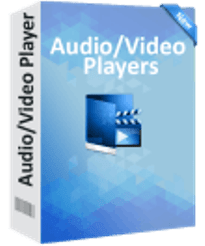 AVS Media Player is a full-featured media player that offers you the capability to play soundtracks, and watch movies as well as view images without any trouble. The features offered by the utility are well presented and organized, and the number of supported formats is quite satisfying. The performance and simplicity of this audio and video player makes it a great choice among other players. You must give it try once!